This bouncer is better than the fancy swing. It doesn't have a lot of bells and whistles and it doesn't bounce on its own, you or baby have to bounce it but it works like a charm. -Cradling seat features faux suede, channel stitching and embroidery as well as 3-point harness. Ingenuity Moonlight Rocking Sleeper - Lullaby Lamb 新生儿睡的小摇床，柔软舒适，带音乐带幻灯，可以很好的哄小baby入睡。Lightweight frame for portability and storage。打折时45刀 with free shipping and free return. 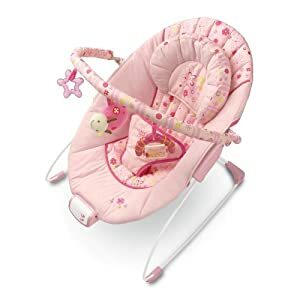 Amazon 现在 this highly rated My Little Snugabunny Fisher-Price Deluxe Bouncer 婴幼儿摇椅降价后 for just $38.34 shipped (regularly $64.99). 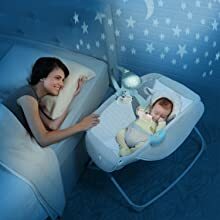 This bouncer features eight songs, nature sounds, and calming vibrations to comfort your baby and is machine washable. This seat rocks or can be set to a fixed position and vibrates! This seems like a great deal since Target has this priced at $49.99! Target.com now this Fisher-Price Deluxe Newborn Rock ‘n Play Sleeper My Little Snugapuppy on sale for just $39.09 shipped (regularly $74.99)! Amazon.com now this Fisher-Price Auto Rock ‘n Play Sleeper for only $48.45 shipped (regularly $79.99). This sleeper has an adjustable incline to help baby sleep, and also vibrates, swings, and folds up for easy transport and storage. It plays 12 different songs and 3 sound effects and has a hands-free rocking motion making it perfect for bedtime. 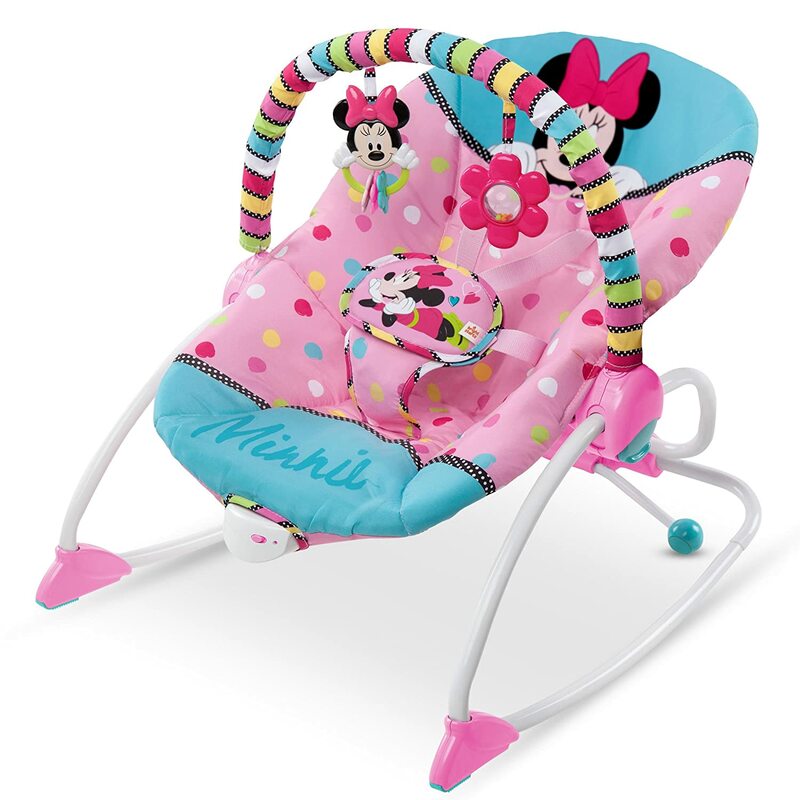 Through September 10th, Target.com get this Fisher-Price Infant to Toddler Rocker in Floral Confetti only for just $23.19 (regularly $44.99)! Free in-store pickup. 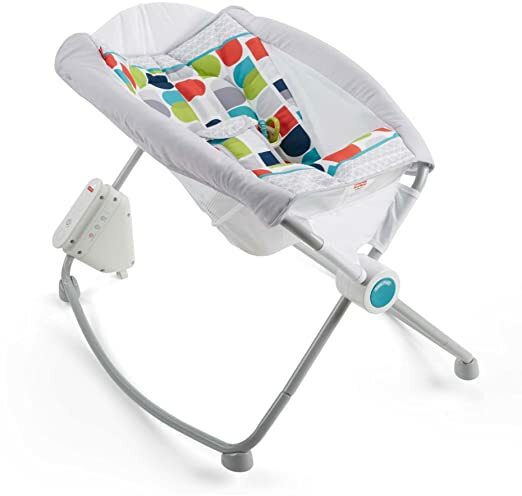 This infant seat starts out as a vibrating rocker with an attached toy bar, and transforms into a toddler seat once your baby has outgrown it. Amazon now get this Fisher-Price Deluxe Auto Rock ‘n Play Sleeper with Smart Connect for just $69.99 shipped (regularly $99.99) – this is the lowest price we’ve seen for this on Amazon! 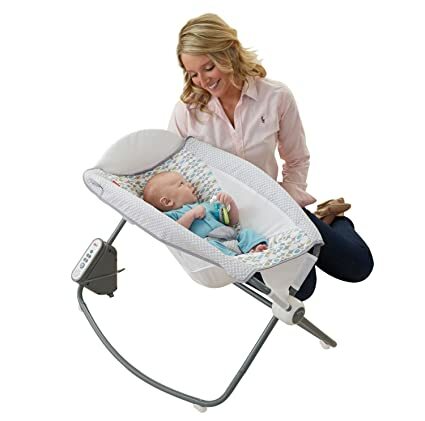 Tuck your baby into this rocker for playtime or naptime and then choose from the customizable calming vibrations and auto-rock settings or choose music or soothing sounds all of which can be controlled from your smartphone with the free app. The seat also folds down for storage or travel as well. 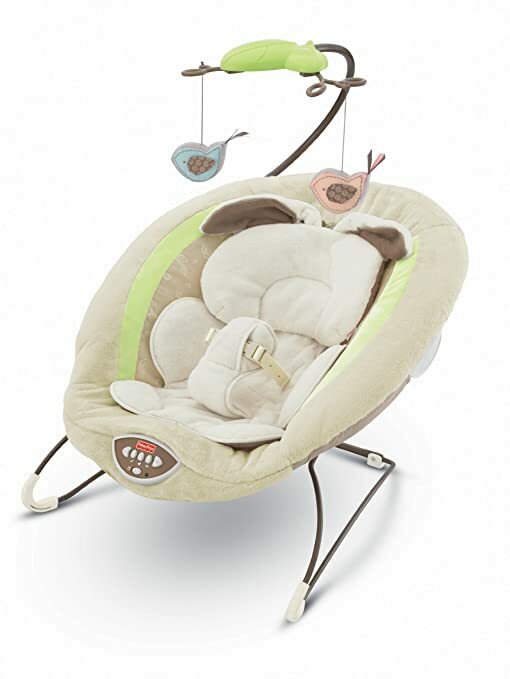 Target.com now get this Fisher-Price My Little Snugapuppy Cradle ‘n Swing for just $74.39 shipped (regularly $159.99)! This swing features six swing speeds, sixteen songs, soothing nature sounds, and two-position recline with three adjustable seat positions. Plus, the seat cover is machine washable and the legs fold for easy storage. 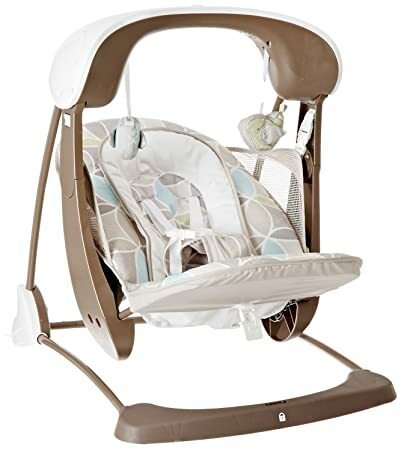 Amazon.com now you can get this Fisher-Price Baby Bouncer in Geo Meadow for just $18.79! 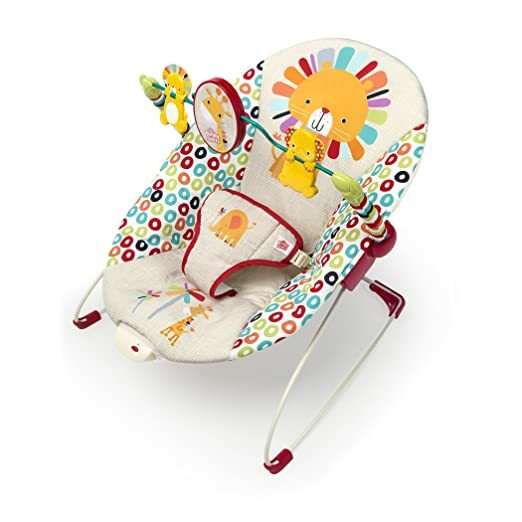 This seat bounces to help soothe babies, has a removable toy bar with spinning monkey, lion and zebra and is made with soft, padded and machine-washable fabric! 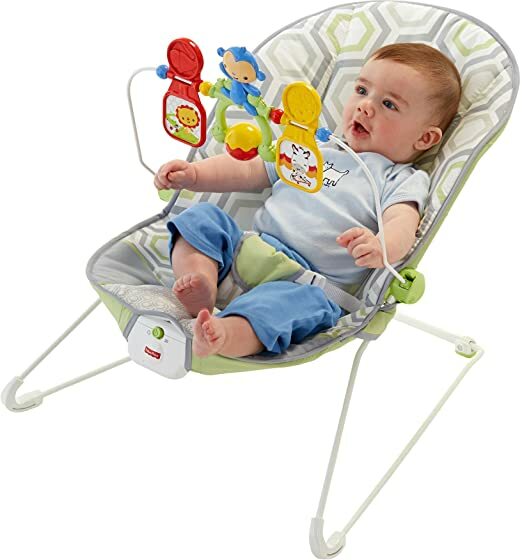 Amazon.com (Prime Members only) now get this Fisher-Price Deluxe Take Along Swing and Seat for just $39.99 shipped (regularly $79.99). This swing seat has six swing speeds and ten different music and nature sounds. 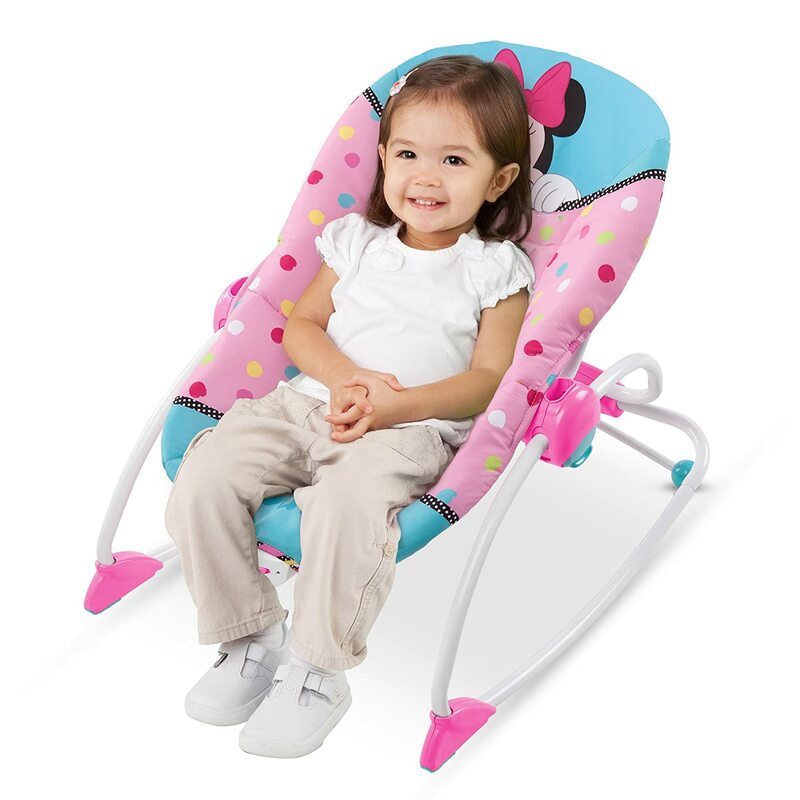 You can easily convert the swing to a stationary baby seat with calming vibrations and it folds up for storage or travel. Even better, the seat pad is machine washable making cleaning easy! On Amazon.com you can now buy this highly rated Bright Starts Playful Pinwheels Bouncer for only $17.84 (regularly $32.99). 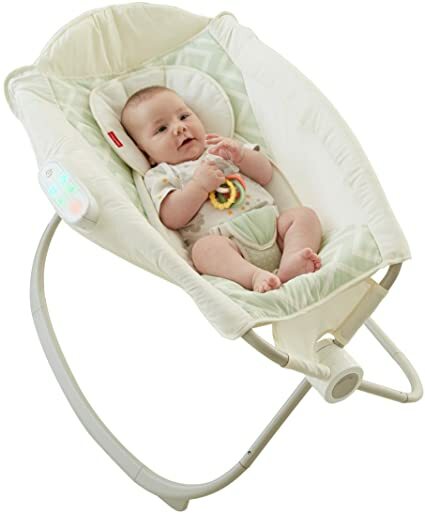 This bouncer provides soothing vibration to keep your baby calm and features a playful toy bar. 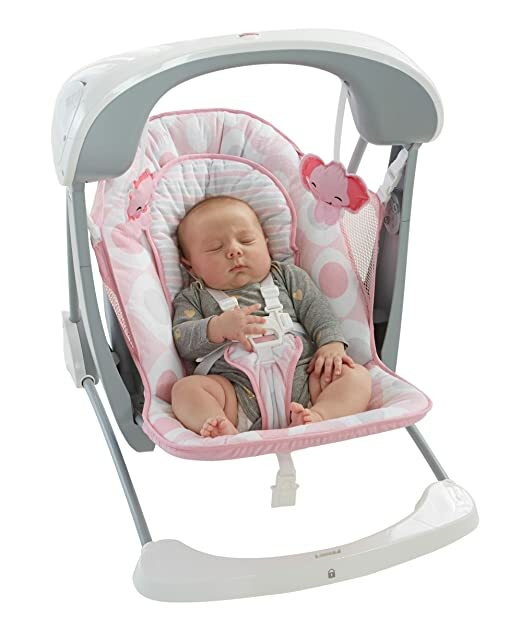 The adjustable 3-point harness and non-slip feet keep your baby safe. On Amazon.com where Prime Members only can get this Fisher-Price Auto Rock ‘n Play Sleeper for only $55.99 shipped (regularly $79.99). This sleeper has an adjustable incline to help baby sleep, and also vibrates, swings, and folds up for easy transport and storage. There are separate settings for naptime and night-time, two auto-rock speeds, and 12 soothing songs & three sound effects, so you can find the perfect calming combo for your little one.